Once again, Georgia’s revised “campus carry” bill is trailing closely behind a new bill targeting gun restrictions. The proposed 2016 House Bill (HB 859) nicknamed “campus carry” permits the carrying of concealed handguns on public school campuses with a license. Student housing and sporting events were excluded, and the bill made it successfully past the House and the Senate but was vetoed by Gov. Nathan Deal. Deal’s concerns centered around the dangers of carrying guns around childcare facilities, but those requests prompted the creation of an entirely new bill, House Bill 280 (HB 280). According to the Atlanta Journal-Constitution (AJC), the bill recently passed the House subcommittee and will continue on to the full Public safety Committee. Drafted by Republican Rep. Mandy Ballinger, the new House bill is generally the same as the original, however, it fulfills the governor’s request of exempting on-campus preschools. Levister said she does not agree with the bill regardless of its revisions and feels as though it creates a hostile environment. But state Rep. David Clark feels as though it creates a safer campus for students. While both bills are currently being reviewed in Georgia’s House of Representatives, there is still evident confliction within the community about them, but Rep. Clark said it is all with good intentions. HB 859 isn’t the only bill trying to change gun regulations this year. Introduced on Jan. 26, House Bill 156, nicknamed the “constitutional carry” bill, proposes the carrying of a concealed firearm without the need of a concealed carry license, given the carrier has no criminal past or previously diagnosed mental health issues. Author, state Rep. Matt Gurtler, said this bill is about restoring constitutional rights in Georgia and helping law abiding citizens exercise their second amendment rights. 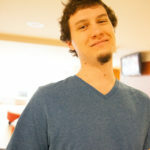 “Law abiding citizens, not otherwise prohibited from owning a gun, shouldn’t have to pay a tax, or ask permission to exercise their second amendment rights,” Gurtler said. Communications director for the Tenth Amendment Center Mike Maharrey has similar views. In his article, Permission not Required: ‘Constitutional Carry’ Bill Passes in New Hampshire he explains how less restrictive gun laws will affect the people for the better. 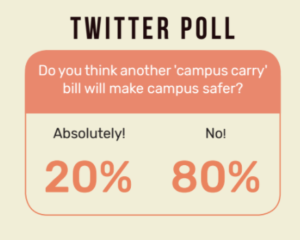 Though many Georgia citizens and representatives agree that the bill will create a safer state and campus environment, others are hesitant. State Rep. Pat Gardner said she will not support any legislation that includes the expansion of gun rights. “I have introduced bills in the past to require background checks at gun shows and education on gun safety to qualify for such a permit,” Gardner said. 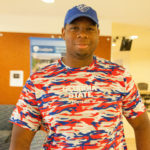 “I understand the importance of fulfilling the rights within the second amendment, but I don’t think it creates a safer environment since you don’t have that regulation and background check that you would have with license requirements,” student Levister said. Kevin Holder, Executive Director of the Council of Probate Court Judges, does not have a public opinion about his stance on the bill. However, he does feel that there needs to be some sort of standard. “It’s one thing to say people can have the right to have guns, but at the same time I think it has to be weighed against a standard of reasonableness,” Holder said. But the passage of this “constitutional carry” bill could possibly cripple the retirement fund for Probate Court Judges. While the number of processed weapons carry applications have increased over the last three years, so has the revenue toward the counties. In 2013, 169,784 weapons carry (WCL) licenses were issued resulting in $3,735,248 in county revenue, followed by 158,353 and $3,483,766 in 2014 and 196,514 and $4,324,308 in 2015. The cost of a weapons carry license goes towards a variety of different areas. 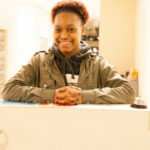 The amount of $39.75 is divided between the Georgia Bureau of Investigation (GBI) and the National Instant Background Check System (NICS) and goes towards fingerprinting. Twenty-two dollars go towards the county, $7 goes towards printing, $5 is the fee for fingerprinting that also goes to the county and $1 of every WCL application goes towards the Probate Judges’ retirement fund. 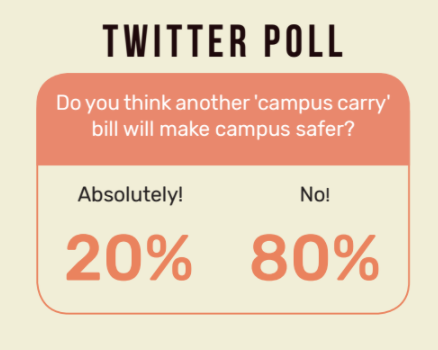 Question: If the new “campus carry” bill does come into effect, would you take advantage of it? Why?